This book is about buying and selling in Nazi Germany. It seeks to understand how the daily business of producing, marketing, shopping, and consuming took place under a racist dictatorship. I pay especially close attention to advertising and consumer research, two themes that have received little attention from scholars of the Third Reich. 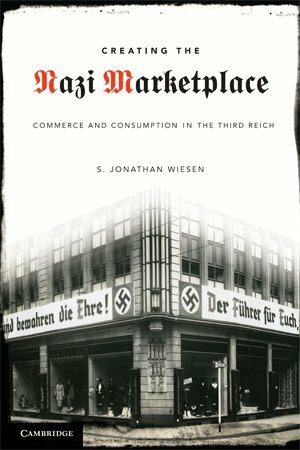 One of the book’s central arguments is that the Nazis maintained the basic functions of the consumer marketplace before World War II, whereby companies could sell their products and the public could respond to their ad campaigns. Gradually, the Nazis limited the opportunities for consumers, especially during the War, and they regulated supply and demand. But the semblance of normality related to the consumer marketplace helped sustain popular support for the Nazi regime and helped enable its crimes. 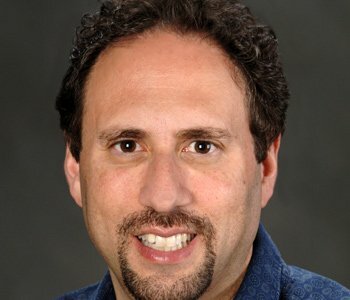 Creating the Nazi Marketplace begins with a focus on Nazi ideas about the marketplace. The Nazis had tremendous ambivalence about modern forms of commerce and consumption. On the one hand, they linked commercial capitalism to corrupt “Jewish” economic control and to crass American mass culture. On the other hand, they realized that consolidating support for Adolf Hitler’s dictatorship depended on creating an abundant, post-Depression society—indeed one that could compete with the United States. The Nazis tried to create a purified “German” mass consumer society that protected the racial integrity of the Aryan population by reigning in “unhealthy” forms of competition. To realize this aim, they relied on the work of finished good companies and manufacturers that had a large customer base. Three of these companies receive sustained attention in the book: Kaffee Hag, a producer of decaffeinated coffee; Bayer, the pharmaceuticals giant that marketed aspirin; and Henkel, the chemical company most famous for its Persil brand detergent. All three were noted for their quality products and their creative advertising. As makers of a “healthier” form of coffee, of soaps, and of medicines, these firms were also valued in a society that celebrated the biological “purity” of its people. I look at the ads, promotional films, publicity materials, and market research of these and other companies at peacetime and wartime—to understand how businesses negotiated the state’s rules about commerce and how consumers responded to their marketing work. The book also places these business activities in a wider social and intellectual context. It looks at the speeches and writings of individuals—such as business leaders who were members of Germany’s Rotary clubs—who had a stake in the flow of goods and services.